There are a lot of things to love about being a part of an Optimist Club: the projects, the purpose, the Optimist Creed and best of all the people. I snapped this picture last evening at the Caldwell, Idaho Optimist Club meeting. 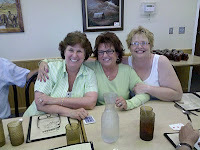 These ladies were enjoying themselves with a little mystery. The mystery? They had renamed themselves for the evening: Helga, Olga and Heidi. Why? I don't know, but it made them smile and that happiness was enjoyed and reciprocated by all around them. Just for the record, a little business was conducted as well. The business and marketing manager for the Caldwell Night Rodeo made a an in-depth presentation about the renewed direction of the major community event. The Caldwell Night Rodeo (CNR) is a top-20 rodeo on the Professional Bull Riders tour making it a destination rodeo. The event draws tourists to town and in doing so, all service clubs benefit because they are the sole authorized vendors within the arena confines. The CNR volunteer board has committed this year to reinforce the fundraising opportunities within the community. 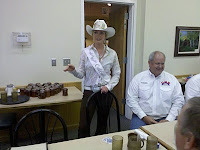 The Caldwell Night Rodeo Queen was part of the presentation to share information about opportunities for students to benefit from scholarships generated by the rodeo. She also described her year serving as the representative of the CNR. Yes, I'm alway excited when there is an until moment because that means there is a story behind the story. It became obvious when I took a closer look. Do you see it? That's right, there is a round badge in the center of Chief Deputy Tom Caldwell's chest declaring that he is a member of the Noon Optimist Club of Rome, Georgia. His presentation about the training he received at Quantico was enjoyed by more than the public that he serves. It was welcomed warmly by people who feel a kinship to this man almost as if a member of their family had been given a special honor. All Optimist Clubs have members with special interests and talents and everyone has a lifetime of experience. Why not hear more from those people who sit beside us week after week? Don't be afraid to learn more about your friends who join you in service. Ask them to make a presentation about their work or an interesting time in their life. They might just have an enlightening story to share. A great number of Optimist Clubs have been joining in the Relay for Life. 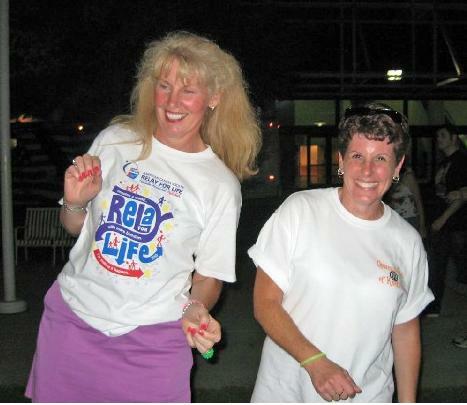 Organized by the American Cancer Society in communities around the world, Relay for Life helps raise awareness about the battle that many fight against cancer. It also allows individuals to share fun and friendship while they do a little fundraising and get a little exercise. Harry Bryan, webmaster and photographer for the Optimist Club of Knoxville, Tennessee recently uploaded pictures from their event on June 25, 2010. Take a look. I bet you will be inspired to join the cause the next time it visits your city. Please visit the Optimist Club of Knoxville for more photos. How do you decorate your bike? It was a great day to decorate a bicycle. That's what Jade Jager and about 200 other children thought when they attended the Bicycle Rodeo on June 16 put on by the Optimist Club of Brookings, South Dakota and the Brooking Police Department. A bicycle track was set up near the Brookings Library and the children were provided safety tips, riding lessons and helmets. They were able to watch a safety video and talk with the officers. 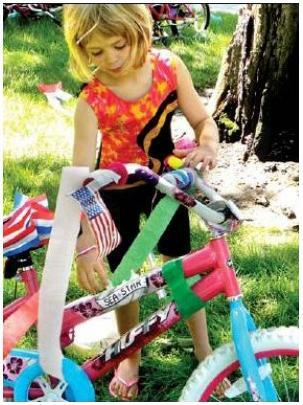 The VFW provided American flags which many students used for decorations on their bike. Another weekend: another car show. This time it is the Optimist Club of Gresham, Oregon and Beat the Heat Cruise-in from 10 a.m. to 2 p.m., Saturday, June 26, at the Gresham High School field at Burnside Road and Main Avenue. The Cruise-in is a benefit for Optimist and Beat the Heat community projects. This year more than 200 hot rods, classic cars, muscle cars and motorcycles are expected. Twenty-five awards will be given in a variety of categories. Registration begins at 8:30 a.m. and the entry fee is $10 per car. Beat the Heat Racing is a national organization formed in 1994. The Oregon Beat the Heat Racing organization was started in 2001 to fight the growing number of street races that were occurring and endangering lives in the Gresham community. With the motto "It's all about the kids," it is easy to see why the Optimist Club makes a perfect partner. The 1992 Chevy Camaro used by the Gresham Police and shown above will be on display. Image credit: www.obthracing.com. What's your secret for staying optimistic? A friend of mine signs her emails with "Live, laugh, love and go barefoot." Yes, of course she is an Optimist Club member and if she weren't I would be knocking on her door to invite her to join. Optimist Club members are known for their positive, upbeat attitudes, but even optimists can have some down time or an off day. That's why a simple little message at the end of an email can send a reminder to lighten up and look at the sunny side of everything. Do you have a trick for staying in a good mood? How do you keep your optimism? Please leave us a comment and let us know. Thanks! How about a day designed to get kids away from computers? That is exactly what the Optimist Club of Mason, Michigan planned when they designed Optimist Youth Day. The total outdoor experience was made complete with help from the Michigan Trappers Association, the Michigan Hunting Retrievers Club, Ingham County Chapter Pheasants Forever, and the Lansing Oar and Paddle Club. All volunteers introduced kids to different forms of outdoor recreation from archery, to kayaking, hunting and habitat maintenance. Friendly competition between service clubs is a great way to spark enthusiasm and awareness in your community for a particular cause or need. In Independence, Missouri, they are banking on that thought to help stock the food pantry where the shelves are running low. According to the site supervisor Kimberley Robinson there are new people needing more assistance than has ever been needed in the past. “Getting the community involved is a great idea. We’ll be able to help a lot more hungry kids and families because of this event," she concluded. Last year eleven service clubs participated including the Rotary, Kiwanis, Lions and Optimist Clubs. Their success is judged by total weight of the canned goods collected as well as number of cans per member. Last year the Kiwanis Club members were declared the big collectors. The Independence Civic Club Challenge Food Drive mobilizes the community through service club membership and enthusiasm. Ninety-three people attended the Junior Optimist Club of Honolulu's awards and recognition dinner on Wednesday, May 19, 2010. 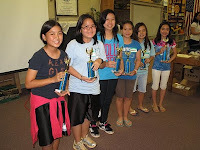 According to the Optimist Club of Honolulu, Hawaii, they have sponsored this remarkable group of young people for eleven years. 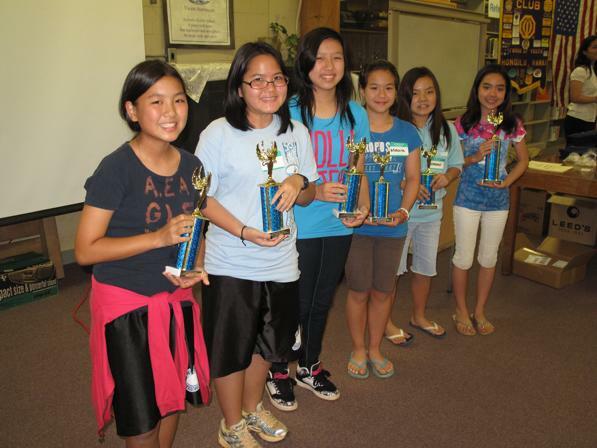 Recognizing their service to their club, school and community, this year six young ladies from the Kaimuki Middles School were in the running for Optimist of the Year. Darsha VanAntwerp was declared the top optimist. The club has a motto that we all hope is true, "Once an Optimist, always an optimist." Congratulations ladies. Thank you for all that you do. Photos courtesy of the Optimist Club of Honolulu. My dad wasn't an Optimist Club member, but he was an optimist. Actually, he was one of those optimists that lean towards realism, but that was okay with me then and now because it helped shape my personality and taught me to analyze the prospective outcomes of any situation and then act in a way that would benefit the most people. He was wise, and from his retail storefront on State Street in Granite City, Illinois, he offered advice only to those who asked enough questions to form their own answer. An hour with my dad was better talk therapy than any psychologist could offer. He made you feel comfortable with your story and confident with your decisions. He empowered you to set forth a plan of action. If he had one fault, it was that for all the empowerment that he gave to others, he was afraid of being judged. As a local merchant in a mid-size community, he lived his life in public; and fear of losing business, the livelihood of his family, often kept him from giving opinions or making a stand. While that was a good trait for homespun psychoanalysis, it was not necessarily the way to true happiness. I believe he lived with a lifetime of emotions just below the surface. I was able to get involved with an Optimist Club because of my dad. Every year, the local club would host their annual membership drive and ask him to join. He wasn't a joiner. He would say, "No thank you, but Linda would like to join." Ladies weren't included in membership then. Many years passed with my dad making the same plaintive statement to the group and then one time, the answer was different. "We'll see what we can do about that," the Optimist Club member said. When I joined the Optimist Club I felt a subtle shift in appearances and responsibilities that was bigger and better than moving to the grown-ups table at Thanksgiving Dinner. That small change allowed my father to understand that a woman would be accepted as the heir to the family business. It also allowed the business leaders to imagine that our business would continue to serve the community into the future. 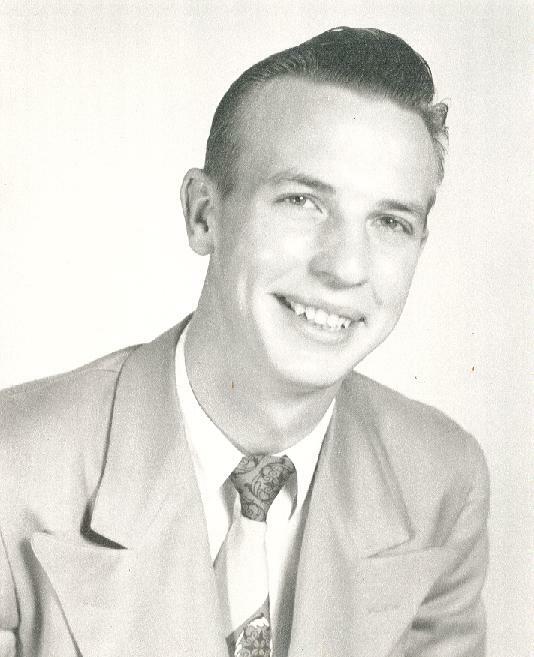 My thoughts are with my Dad on this Father's Day more than most. He's been gone for thirteen years, but I still seek his approval when I debate solutions and outcomes in my mind. I find I have adopted his sense of right and wrong, but not his fear of judgment. I'm not afraid to take a stand. I often look at the realistic side of things before reaching for the optimistic outcome. I'm confident that I have a voice and an opinion, but because I spent years witnessing his introspection, I also know that I have the flexibility to learn, grow, adapt and even change. Thank you for being such a great listener Dad. I think your quiet skill has empowered more people than you know. Our presidents are leaders. At least an electing body thinks that they are. Whether they be presidents of a club, corporation or country, those who rise to leadership have similar traits; they possess a vision and a drive to make the vision a reality. This post is to tell you that I believe we are all leaders. Somewhere inside of us we all know what we want to see in our future. While some may choose a family and children first when others choose to pursue a career, we all want to leave the world a better place for those that follow in our footsteps. It is how we act on that last statement that makes us human. When we act in a positive manner, we become agents of change. When we act in a negative manner we stifle, argue, wither and die. Since we are all leaders, we must choose which course of action will allow citizens of the world today and tomorrow the most opportunity to choose their own path. We must set a course of action that encourages leadership among our peers and empowers individuals to share their ideas and plans of action with others. This blog is largely about the positive and upbeat activities performed by members - people who belong to Optimist Clubs. You don't have to be a part of an Optimist Club to pursue a positive course of action, but it helps. In an Optimist Club, twenty or more of your closest friends come together to cheer for each other and perform good deeds. Working together with your friends and colleagues will help you stay inspired and your enthusiastic participation will inspire others. I hope you share your leadership and give membership a try. Be the change that you want to see in the world; that is leadership from within. Music from the 50s and 60s, food, fun and a Best Dads Contest are all part of the 33rd Annual Fond du Lac Optimist Club Father's Day Antique Car Show at Lakeside Park, Sunday, June 20, Fond du Lac, Wisconsin. This sounds like a great way to celebrate dad with optimism. This is the club's major fundraiser for the year. They expect hundreds of antique and classic cars with an entry fee of $5 each. Entry to the public is free and fun is guaranteed. According to the Optimist Club, proceeds have funded projects including a soccer field, baseball diamond and equipment and improvements at Lakeside Park as well as many youth service projects in the community. Prospective new members are always welcome to find out more about the club at a weekly meeting, Wednesdays, 7:00 p.m., at the Elks Club, 333 Sheboygan Avenue, Fond du Lac. What's a mud bug? Well a crawfish, of course. And why am I writing about mud bugs here? Because the Optimist Club of New Iberia, Louisiana recently cooked up 5,000 pounds of mud bugs for their Annual Crawfish Boil. According to Optimist Club chef Larry Crochet, that's down about 1,000 pounds from last year, but they still served about 1,000 hungry patrons. It is estimated they will raise about $6,000 to $7,000 with this fundraiser. All proceeds benefit youth projects in New Iberia with special assistance to three JOOI Clubs at Catholic High, Westgate High and New Iberia Senior High. The Optimist Club also contributes to the library reading program and hosts a bicycle safety fair. The New Iberia Optimist Club hopes to host a shrimp boil later in the year; however, they are concerned that the BP oil spill in the Gulf might make that impossible. Read more about this project and see some pictures of the event at this link. The Optimist Club of Bixby, Oklahoma will host the Annual Green Corn Festival on June 24-25 at Charley Young Park in downtown Bixby. The event includes music, parade, carnival rides, bingo and other great games for young and old; but some of the greatest entertainment of the weekend is the Miss Bixby Pageant and the Youth Talent Show. Optimist Clubs pride themselves on bringing out the best in kids. Additionally, they support local communities in the way that the community needs most. The Green Corn Festival is a celebration that brings the community together for traditional fun activities. 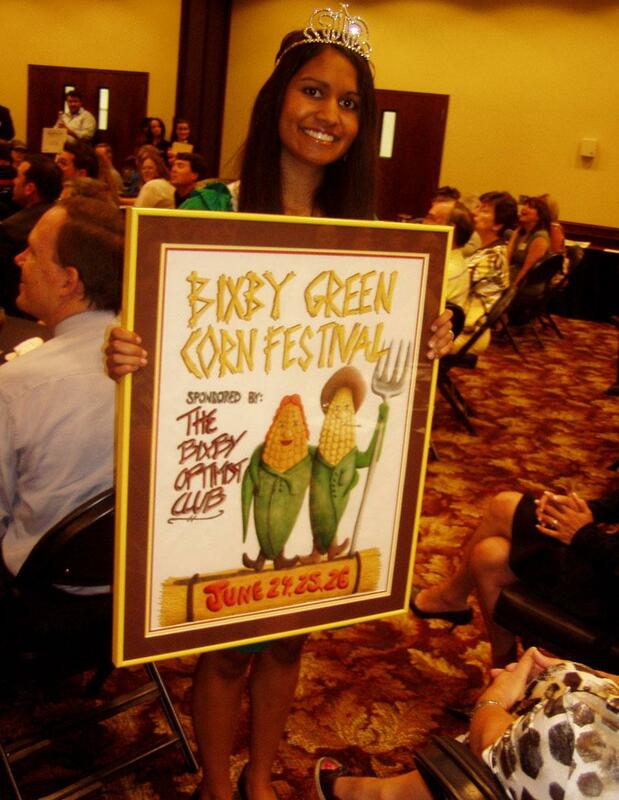 Shown above is Miss Bixby, Sara Subramaniam, with the Bixby Green Corn Festival poster for 2010. Students in 9 - 12 grades created posters that were judged and then auctioned to guests at a chamber luncheon meeting. All proceeds benefit Optimist youth projects in the Bixby community. Downtown Optimist Club members are active members of the local community and we are always on the look-out for new ways we can assist youth in whatever they are trying to achieve. And that is what makes an Optimist Club different from other service clubs. Optimist Clubs look for local causes and they get involved. They donate money to local children and initiatives that impact their community with an emphasis on helping youth achieve more. This is a fairly simple post this morning with straightforward message: now is the time to get involved with your local Optimist Club. If there isn't an Optimist Club in your community, let us help you get one started. Your community needs you, your friends, relatives and neighbors to be engaged and committed to service in the belief that giving of yourself will enhance your local community, humankind and the world. Find an Optimist Club today. According to the Optimist Club of Florence, South Carolina, one way to bring out the best in kids is to help them be creative. With less money available for the arts these days, the club has committed to provide hands on activities for children at this event that are very easy to take home and do on their own. This is the second year for the Annual Art in the Park at Lynches River. 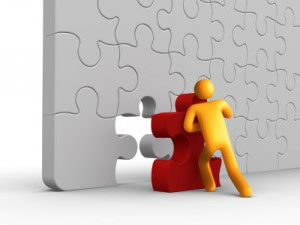 You definitely get more done when you are able to work together with others. That's what the service clubs in Jackson, New Jersey learned. In an effort spearheaded by the Jackson Optimist Club, service clubs came together to help a local veteran obtain a service dog. 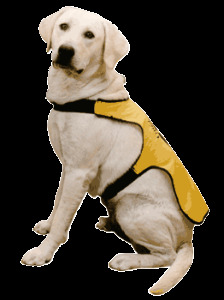 The 26-year old disabled veteran was put on a waiting list with Veterans Services and told that it might be ten years before he received a service dog trained to especially assist those with post traumatic stress disorder. Friends, neighbors and community members believed that was too long so the idea of an umbrella group that could help coordinate community needs was hatched and the Jackson 501 Association was formed. The charter members of the 501 Association are the Jackson Kiwanis, the Rotary Club, the Veterans of Foreign Wars, St. Vladimir’s Church, the Jackson Women of Today, the Optimist Club, the Central Jersey Italian American Club, the Fossils Car Club and the Jackson Alumni Hall of Fame. In addition to working together on special projects, the Jackson 501 Association has launched a service club portal that explains each organization's mission and provides an application and contact information to help interested volunteers get involved. Please visit www.jackson501association.org to learn more. 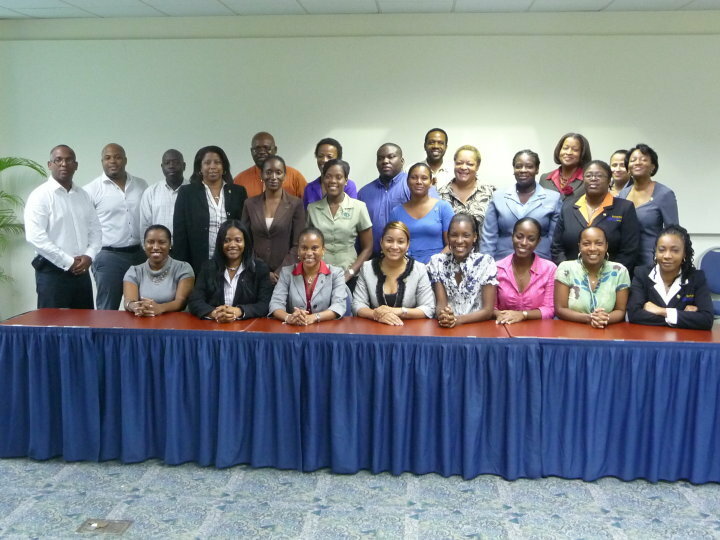 Meet the Progressive Optimist Club of Barbados. This smiling group of Optimists are part of one of the newest clubs in the Optimist International family. Welcome! 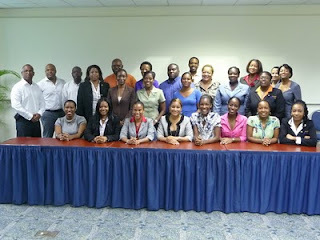 The Progressive Optimist Club of Barbados was officially organized on May 27, 2010. One of the tools they used to bring the people together was Facebook. They discussed and voted on the name of the club, they informed potential members of the informational meeting dates and kept signed members on track for attending, promoting and making a difference in the community. Our social networking tools like Facebook are the new way to stay connected. Once you make a page, create an event, and invite people to join, all you have to do is keep them and the page updated. People will choose whether to "like" your page or not. If you have a Facebook ID, you can see their wall and at this link. School's out for summer. That means bike safety rodeos, county fairs and plenty of classic car cruise-ins. I'm starting to get alerts from all around the country for Optimist Club Cruise-ins. 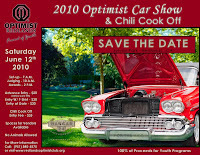 On Saturday, June 12, the Optimist Club of Redlands, California will hold their 19th annual event in Sylvan Park from 9 am to 4 pm. In addition to the great cars there is a chili cook-off, live music, a beer garden and great food. The Redlands Optimist Club has no less than 16 sponsors for this event. Be sure to take a look here. 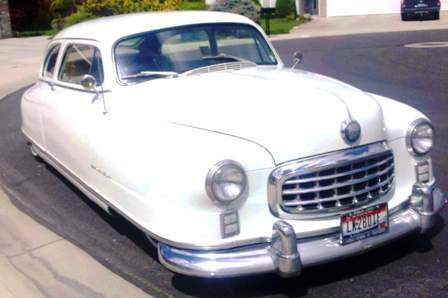 Does your Optimist Club have a classic car cruise-in? I'd love to post some pictures here. Click here to send us the details. One of the responsibilities we share as members of the the Optimist International organization is to help expand the reach of Optimist Clubs, our programs, purposes and ideals. 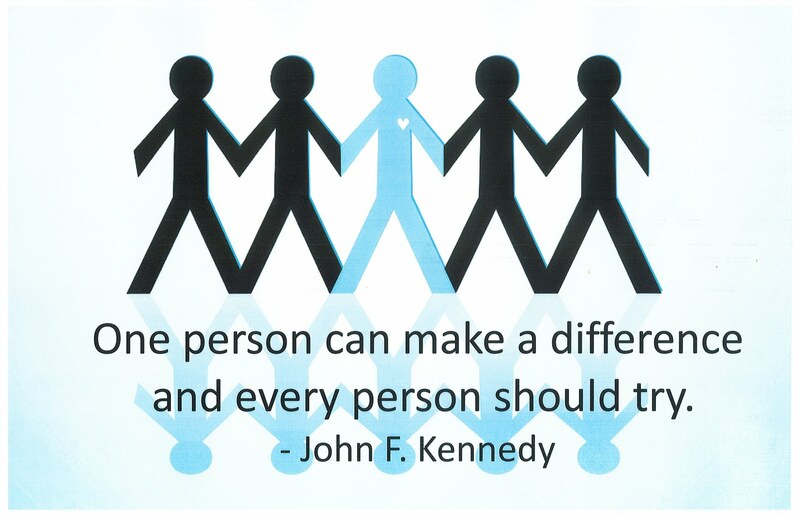 The greatest outreach program of all is when we start a new Optimist Club in a new community. Today I was asked to help customize a flyer to help with a project in Knoxville, Tennessee. 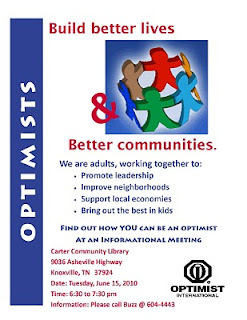 This flyer explains the benefits of an Optimist Club and asks the reader to attend a meeting to find out more. Isn't it great that technology allows us to reach across the country and around the world to share our positive message and help others who share our goals? Please let me know if I can help you with your new club project. I'm only an email away. Every year, the Optimist Club of Twin Falls, Idaho sponsors the Magic Valley Kids Art in the Park Day. They collaborate with local business to make certain that the Magic Valley Arts Council has the resources to present this one-day workshop, lunch included, for children grades K- 7. For a $3 registration fee, kids choose the workshop in their age category and learn to draw with different mediums and styles, practice singing, dancing and improvisational acting, and create a craft item to take home. The workshops are led by individuals who have been trained and practice in the field. Volunteers assist children as needed, supervise the activity and serve lunch and entertainment is provided at lunch to create a full-day of activities. This is a great example of how collaborating with other agencies can give your Optimist Club greater outreach in your community. Often clubs will write a check and walk away. Optimist volunteers will be all about the Kids Art in the park Day sharing in the smiles and helping children expand their horizons through artistic expression. Please take a look at the flyer and consider how you might provide a Kids Art in the Park Day in your community. Let me share a PowerPoint presentation with you that I created for starting new Optimist Clubs. It describes some of the excellent and exciting programs performed by Optimist Clubs in Idaho. 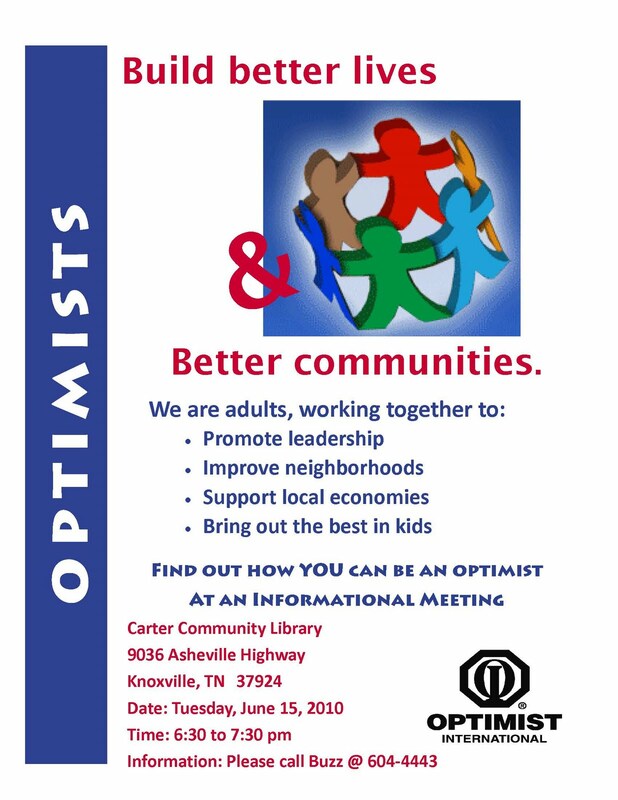 Please let me know how I can help you get started on an Optimist Club in your community. 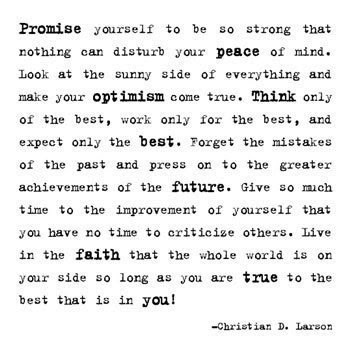 You owe it to yourself and your community to experience the Optimist Difference. 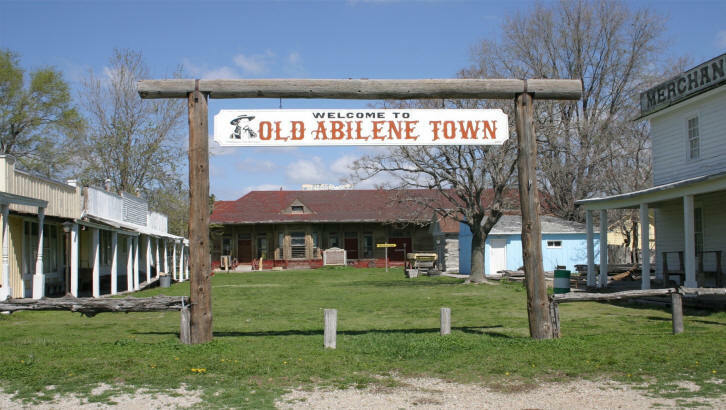 It only takes one is the theme for a restoration project in Abilene, Kansas. It only takes one person, one hour and one paintbrush to help restore the T.C. Henry Barn in Old Abilene Town; and the community's service clubs are coming together to make sure it gets done. Working together are the Abilene Optimist Club, Rotary Club and Lions Club. Together with the Boy Scouts, 2nd Battalion Soldiers from Ft. Riley and community volunteers, and with donations from local contractors and hardware stores the 130 carriage house will be refurbished and repainted in two days. It's nice to recognize our outstanding volunteers. Somehow, it is even nicer when others take notice of their outstanding efforts as well. In Centerville, Ohio, two Optimist Club members were honored by the Presidents Club of Dayton during the Outstanding Service Club/Community Members Breakfast. Kelly Eggers and Bill Defries were chosen for the contributions to the club and community. Kelly is involved in the Avenue of the Flags fundraising program and new club building. She will be club president in 2011. Bill was recognized because of the over-and-above support that he lends to the club and community that includes hosting events at his Beef O'Brady restaurants. 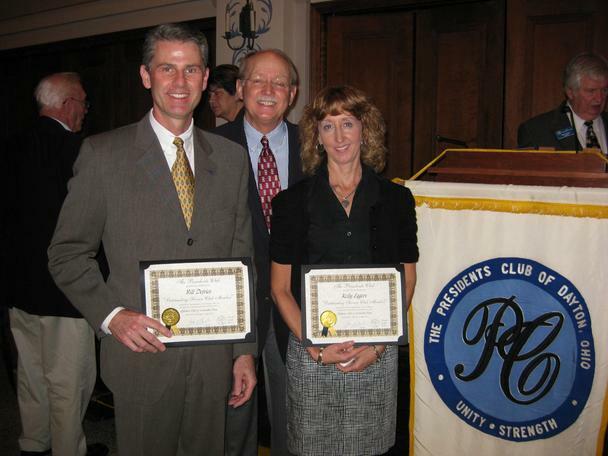 Does your community have an event where Optimist Club members can be recognized by others? 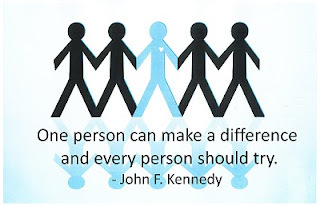 If so, be sure to be involved and if not, why not be the group that gets it started for others? We share in the good work that our service clubs do. Why not help with the celebration? Glenda Standeven is a member of the Optimist Club of Chilliwack, British Columbia. She is also a cancer survivor. Glenda has spoken on different occasions to the Chilliwack Optimist Club and the Pacific Northwest District - Optimist International with inspirational stories of her struggle with bone cancer. Always peppered with humor, she says, "When you've lost a leg to bone cancer and your last name is Standeven, you really find a sense of humor in a hurry." Now Glenda and two other cancer survivors, Julie Houlker and Michelle Rickaby, have written a book to tell how they deal with life's many challenges including cancer. All three agree that it is their positive attitude that helps them get through the tough times. The book's title "Choosing to Smile" reflects their optimism. Find out more about the authors, read excerpts from the book, learn where they will be speaking and buy the book at this link http://www.choosingtosmile.com/index. Two dollars from every sale is designated to the Optimist International Foundation of Canada. Are we too tired to change? Change. Is it inevitable? If so, why are we so resistant? According to Fast Company, the reason that we resist change is because change requires self control and self control is exhaustible. When we get tired, we lose self control or the desire to do something different and we fall back into comfortable, routine habits. If change is important to you or your cause, then plan accordingly for the exhaustion factor. Take time to ease into the change that you want to see. Keeping kids safe is a priority for the Optimist Club of Issaquah, Washington. Over the past five years they continuously developed and enlarged their Bicycle Safety Day to include more communities. According to Bruce Pflaumer, President, this year they will conduct three events in Federal Way, June 5; Issaquah, June 12; and Bellevue, June 13. I received two email messages from the Optimist International office this morning. One was the weekly update, explaining what had happened last week and inspiring leaders to action for the coming week. The other was the Leadership Hotline, an informative newsletter with coming attractions, recent events, and its upbeat message of inspiration that is implied in its bright colors and snappy writing style. The first message from the Executive Office told me that June was Optimist International Childhood Cancer Awareness Month and offered me the opportunity to download a proclamation for my city officials to sign. "During the month of June, Clubs, Zones and Districts are asked to conduct projects designed to raise the public perception of children’s cancer and gain public support for our efforts to serve these children. 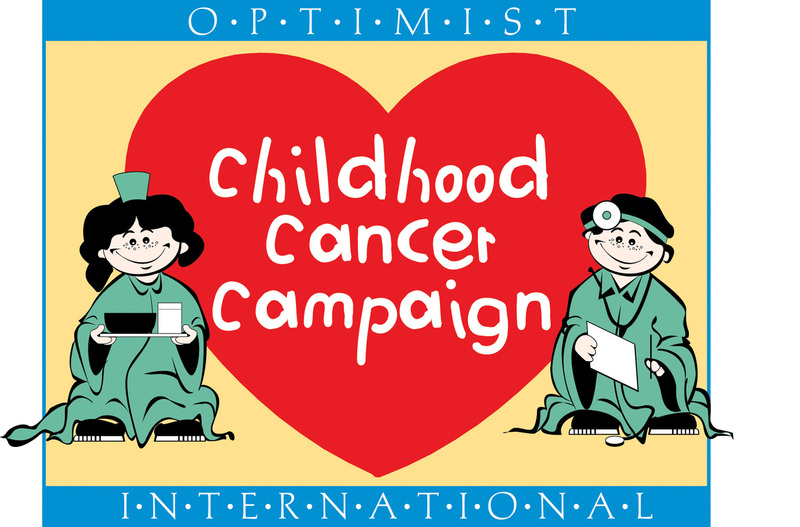 This is a great time to schedule an event and apply for a matching grant through Optimist International." Both are important messages about what has turned out to be one of our most loved Optimist International programs. One suggestion was more traditional, sent via email, offering a formal way to be involved in an awareness campaign. The second message was more interactive. I had to click and read to find it. I had to engage; and it encouraged me to engage with my club and my community to carry out an awareness project. These subtle differences appeal to different personalities. Well done, my friends at Optimist International. Did you know that it is believed that the average person needs to hear about a topic five to seven times before they will take action? It's up to you to get talking! It's up to you to engage in an appropriate manner with your club and your community. We need to spread the word far and wide that we can make a difference in the lives of children with cancer and their families and then we need to take action. What are you waiting for? Do it. Now.